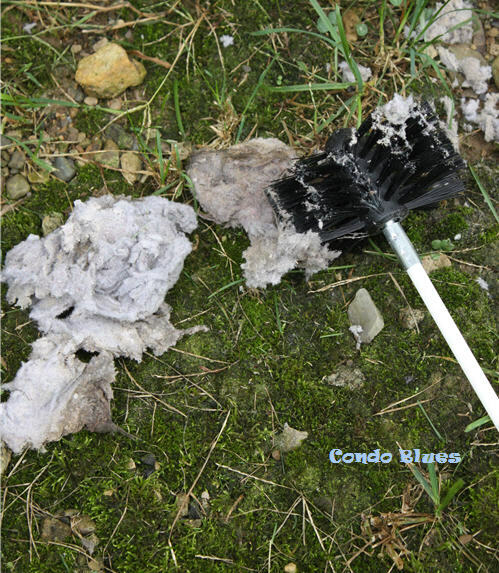 Condo Blues: How to Clean a Dryer Vent the Easy Way! 1. Clean the lint trap or screen after every load you put in the dryer. 2. 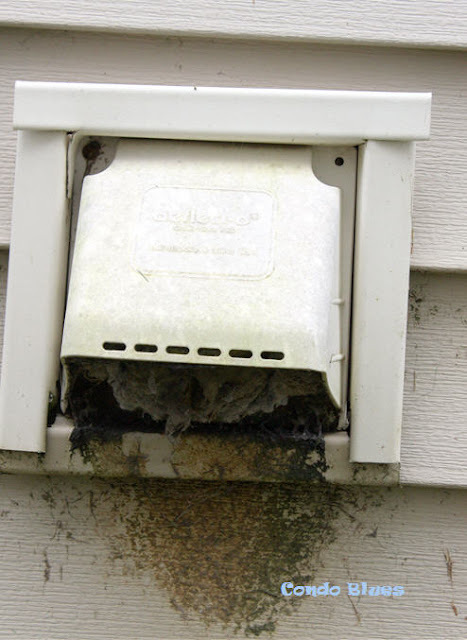 Clean the dryer vent and dryer a few times a year. Cleaning a dryer duct is so easy! You don’t even need to take it apart! Not to mention, your dryer will run more efficiently, use less energy, and lower your electric bill if it is lint free. 2. Remove the dryer cap cover from the outside of your dryer vent (if needed.) Use your hands to remove any link caught around the dryer cap cover the and guard as needed. My dryer vent has a little cage that attaches to the vent opening to keep animals out. 3. Screw several of the dryer vent brush sections together as needed and insert the end in an electric drill if desired. I didn’t bother with using a drill since I only needed one extra brush length. 4 Feed the dryer brush through the dryer vent flap opening on the outside of your house, rotate the brush to catch the lint on the sides of the dryer vent and duct and remove the brush. Stand back! You will probably get messy. Wear a dust mask like this one if you are sensitive to lint and dust. 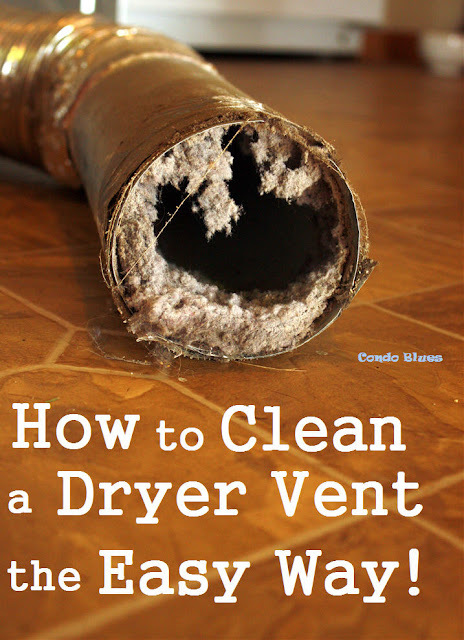 Repeat as many time as needed until the dryer vent is free of lint. 5. 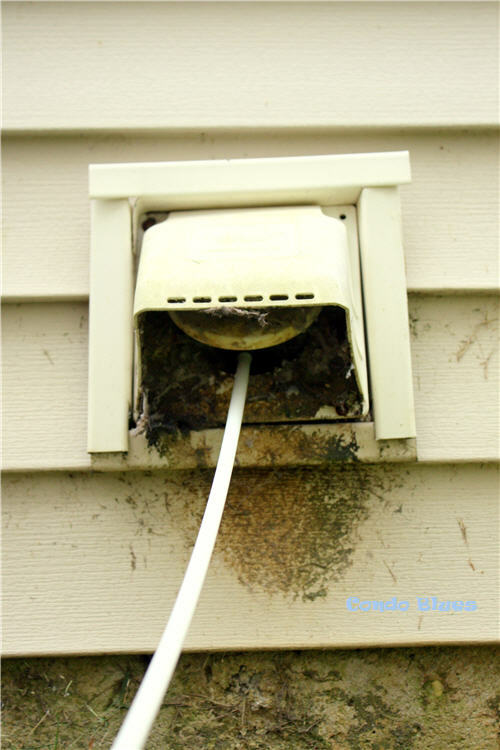 Replace the dryer vent cap and guard if needed and go inside the house. 6. Remove the dryer lint trap screen from the inside of the dryer and clean the lint from it if needed. 7. Insert a dryer lint trap brush inside the lint trap opening in the dryer, Use the same twisting and brush method as you did in Step 4 to remove any lint buildup from side the lint trap opening of the dryer. Replace the lint trap screen when you have finished cleaning this area. 8. Plug the dryer back into the outlet. Time to do laundry! On a personal note, I noticed I don’t have much lint buildup in my dryer duct (the first photo is the majority of the lint I cleaned from the dryer) because I stopped using dryer sheets and fabric softener when I bought this dryer. My old dry had black (burnt?) gunk on the inside of the drum and the only thing I can think of that would do that is the coating from dryer sheets. Instead I use dryer balls like these along with several fabric squares with big safety pins attached to combat static cling. They work great and haven’t ruined my dryer unlike the coating from dryer sheets. Where do I get a vent brush and what if I don't have a drill? How do you extend the brush, we have a 15 foot long hose to clean.